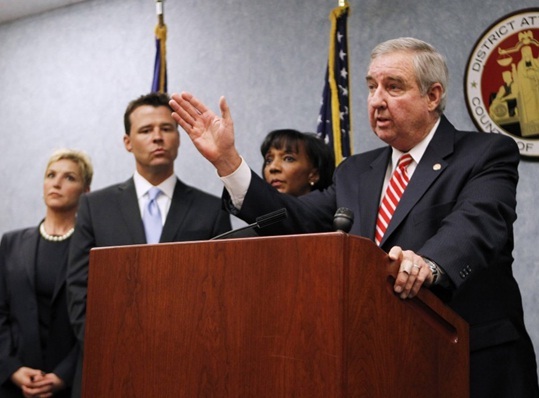 Above is a shot from yesterday’s post verdict press conference. In the middle is the Los Angeles District Attorney Steve Cooley. 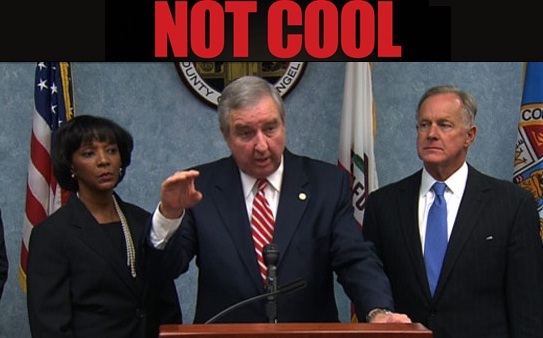 Standing on his right is Jackie Lacey, Steve Cooley’s nominee to continue his reign of terror and corruption when he retires next year. On his left is Patrick Dixon, Chief Deputy District Attorney. Jackie and Patrick who? Wait, where is the man of the hour? 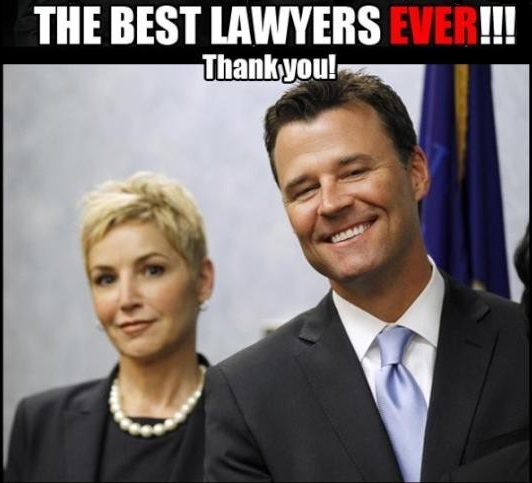 Deputy District attorney, David Walgren. Oh, there he is, out of the limelight! Usually the winning prosecutor addresses the media but because it was a high profile case, Cooley thrusted himself into the limelight, pushing aside the man whose vigor secured the victory. Cooley was happy to collect accolades! Mr. Cooley, there was a reason you didn’t make attorney general. You are underhanded and while chasing after small wins, you lose big. This publicity stunt was no exception. You did disservice to Jackie Lacey. Don’t you have advisors to halt your tactless acts? What Steve Cooley conveniently left out was that HE was the man who "downed it to involuntary manslaughter." "it will be very difficult to achieve an appropriate sentence of incarceration for Conrad Murray." 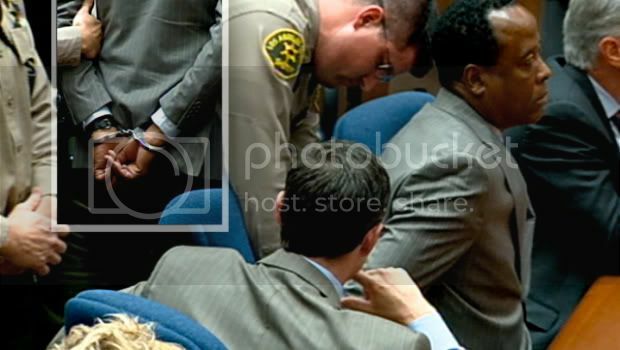 Had Steve Cooley sought second degree murder then Conrad Murray would have served his sentence in state prison! The State of the California wasted taxpayer money for what? Cooley said the outcome of this Trial sent a strong message to “feel good doctors.” Really? What message was that? Be incompetent to your heart’s content, we are determined to use taxpayer money to publicize you so you can be out in time for the premiere of your million dollar documentary?!!!!!!!!! The jurors were instructed NOT to profit for 90 days yet it is okay for the killer to profit immediately? HIS office would be prosecuting Conrad Murray. We thought this would be a mock trial outcome of which was already bought. Then along came David Walgren who prosecuted this case with methodical perfection. He single handedly restored public trust in LADA’s office. We, the People, scorn at Steve Cooley's self serving and ungracious move. Great article!! It is so frustrating to think we could have sent Murray down the river to Prison for alot longer, if not for Cooley. Then to have Cooley grand standing to the public as Walgren & Brazil are off to the side. You can just see the anger in there eyes as they to look at Cooley. Can't wait for you to be gone Cooley...not soon enough!! !